So far Anne Gibson has created 134 blog entries. Welcome to the October newsletter. It’s been a busy few weeks but I have some interesting tips for you to tuck into. 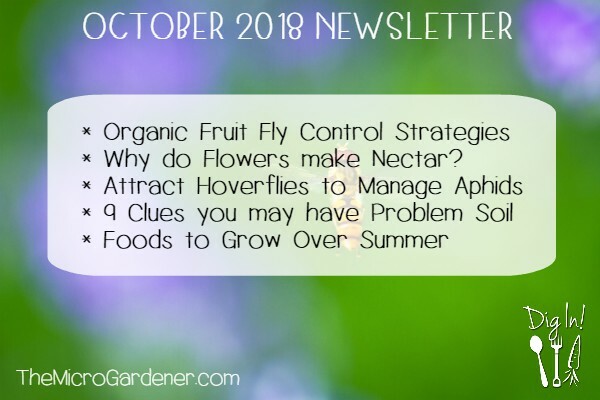 In this newsletter, I tackle a common pest insect enemy – the fruit fly and share strategies for preventing and controlling the damage. If you’ve ever cut open fruit and found it spoiled by larvae inside, it could be this offender. If you are plagued by tiny sap sucking aphids, then you’ll enjoy learning about Hoverflies. These beneficial predators dine out on these pesky insects. 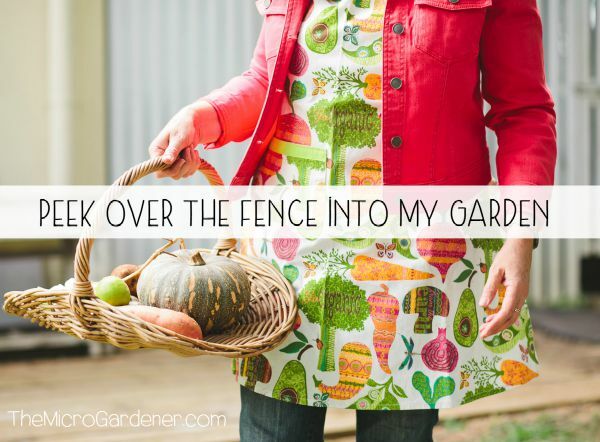 Discover how to attract them to your garden. I also share nine clues that may indicate you have problem soil and explain the fascinating reason why flowers make nectar. Dig in! 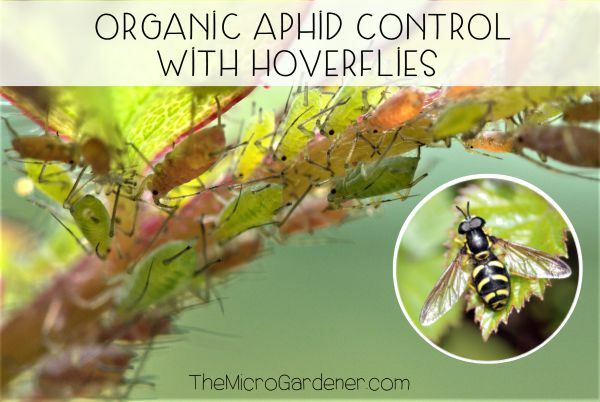 Controlling aphids organically is much easier if you encourage natural predators like hoverflies to take up residence in your garden. One natural pest management strategy for organic aphid control is to make your garden attractive to predatory insects. These can help keep aphid numbers and other sap suckers in balance – no chemicals needed. Also known as Flower Flies, hoverflies are members of the Syrphidae insect family. As their name suggests, adults often ‘hover’ like mini helicopters over nectar and pollen-rich flowers. Fruit flies are one of the most destructive pest insects in home gardens and attack a wide range of fruit trees and fruiting crops. Many gardeners find they are the number one enemy they battle every year. This pest insect is most active from spring through autumn and species vary in different locations. For vulnerable fruit, you need to be prepared to be vigilant and have controls in place at the right time. You really have to know your enemy to tackle it! If you’ve experienced damage to your harvest, it can be disheartening to even try to grow your favourite fruit crop. What if managing this pest insect is all too difficult? 1. Remove any host plants that are prone to attack. 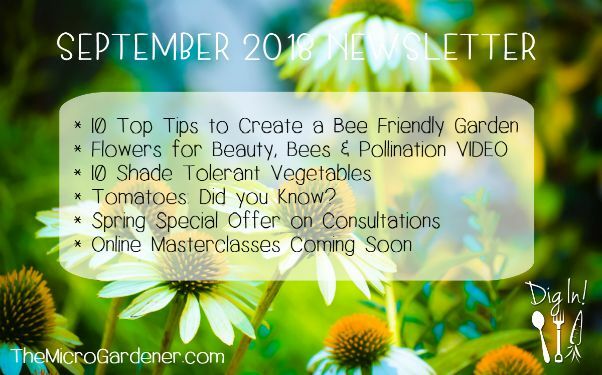 Welcome to the September newsletter. This month of spring, I’m busy presenting 10 workshops at local events and helping clients co-create beautiful productive kitchen gardens. More on that below. 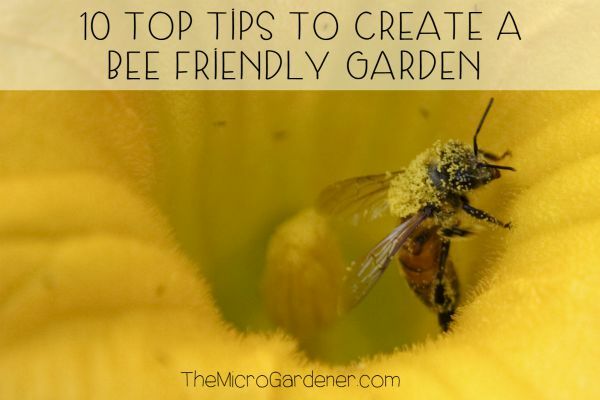 Whether it’s spring or autumn/fall in your garden, or somewhere in between, you’ll likely find my tips and video lesson on creating a bee friendly garden really helpful. 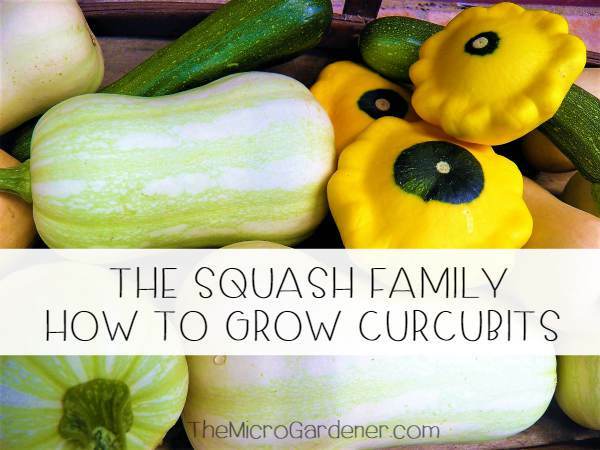 If you have a shady spot, check out my list of 10 best vegetables to grow. If you love tomatoes, read on to find out some surprising facts about them and we get to know the Umbellifer family of vegetables and herbs. My special spring offer on my home visit service for local gardeners ends this month. So be quick to book, as I have limited places left! Grab your discount coupon code below. If you eat a variety of fruits and vegetables, it’s likely bees have played a vital role in pollinating many of the foods on your plate! One way to help these threatened, tiny but hardworking insects, is to create a bee friendly garden. A magnet if you like, to lure them to spend more time hanging out at your place! If you have a garden, even a small one, you can encourage your local bees to visit regularly. Bees help fertilise up to 90% of the earth’s major food crops and you can support their health and survival, while reaping some awesome benefits. Hi and welcome to the latest newsletter. Thanks for your patience! 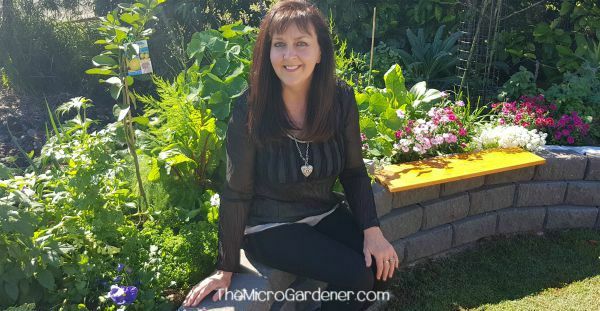 I’m playing catch up, so this issue is packed with tips and my latest articles to get you growing a productive garden. Plus a special offer on my home garden visit service for local gardeners as we spring into spring! Spinach: Did you Know? … and the news isn’t all good! Spinach leaves that have been stored for one week give you JUST HALF the antioxidant (immune building) benefits of freshly harvested spinach greens. So, those bagged leaves in the supermarket are not giving you ALL the health benefits you could enjoy, if you grow a pot or two yourself and pick just before eating. Food for thought hey? EWG (Environmental Working Group who champion research into safe food and products) discovered in their testing, that “conventionally grown spinach has more pesticide residues by weight than all other produce tested.” Alarmingly, 76% of the spinach samples in their tests were contaminated with permethrin, a neurotoxic insecticide already banned from use on food crops in Europe. EWG states that “at high doses, permethrin overwhelms the nervous system and causes tremors and seizures.” The EPA classified permethrin as “Likely to be Carcinogenic to Humans”. If you think non-organic spinach is grown differently in your country, remember the chemical giants (agricultural companies) have their products world-wide and farmers tend to use similar chemicals across their crops, unless banned from doing so by their government. A single conventionally grown spinach sample contained an average of 7.1 to 18 different pesticides or breakdown products. Holey leaves don’t kill people. Chemicals do. Please grow your own! If you’re feeding non-organic spinach to your family, then you may want to reconsider growing this vegetable. In one study, children with detectable permethrin residues in their urine were twice as likely to be diagnosed with ADHD as children with non-detectable levels of the pesticide. It’s also used to kill head lice, kill fleas on dogs and embedded in mosquito-repellent fabrics. It has no place on food. If you think that’s bad, residues of DDT and its breakdown products were found on 40% of spinach samples tested. Even though this toxic chemical was banned in the 1970s, residues remain in the soil and are picked up by spinach grown today. Get your FREE copy of 2018 Shopper’s Guide to Pesticides in Produce here. So, after that cheery news, are you thinking about growing your own spinach now? If you don’t grow spinach, buy a whole bunch rather than bagged leaves and ideally organic or spray free. Wash them in cold water, spin and pat dry as soon as you get home. Eat as quickly as possible as spinach spoils rapidly. Spinach with medium sized leaves contain more phytonutrients than baby spinach or plants with larger leaves. Eat when young and tender. Spinach loses 3/4 of its phytonutrient content after boiling for just 10 minutes. The beneficial nutrients leach into the water. The greener the colour of your water, the higher the nutrient loss. Boiling spinach for 10 minutes leaves 4 times more nutrients in the cooking liquid than in the leaves themselves! You’d be better off drinking the water. Enjoy raw in juices and smoothies or steam gently for 30 seconds until just wilted. 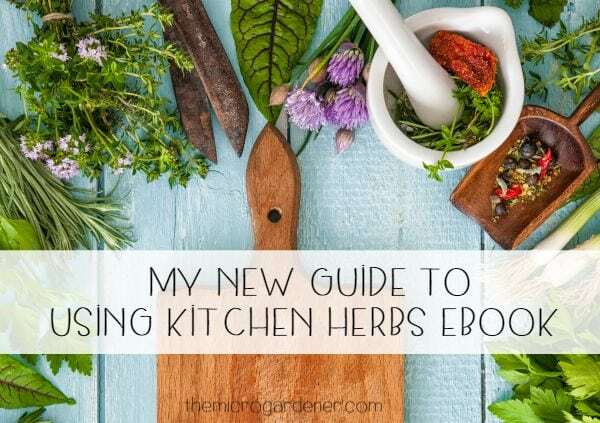 After launching my digital eBook GUIDE TO USING KITCHEN HERBS FOR HEALTH in June, I’ve been working on distributing it via online bookstores as well as in my Shop. More retailers are coming on board all the time! I am also planning to eventually print the book in a hardcopy version down the track. That’s a whole other project! 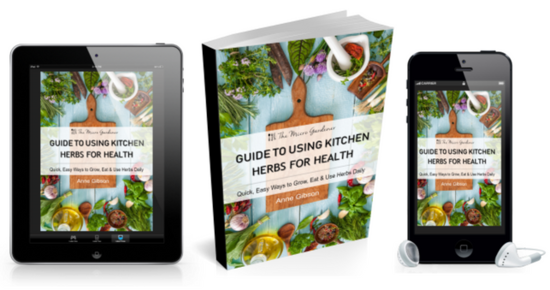 You can now buy my GUIDE TO USING KITCHEN HERBS FOR HEALTH at Barnes & Noble, Kobo, Apple iBooks, Scribd and more online bookstores including Amazon coming soon. By purchasing my book you can support my education work while learning to use and heal yourself with everyday kitchen herbs. It also makes a great gift. It’s in 3 digital formats so you can read it on any eReader device, computer, mobile, Kindle etc. You can also read a free sample. Raise seeds indoors as microgreens or sow direct if weather is suitable. Plant bare-rooted fruit trees. Available online and at nurseries. You can save money this way. Prepare your soil for planting trees and shrubs in spring. Prune back deciduous fruit trees, berries, vines, perennial bushes and herbs. Give crepe myrtles a hard haircut to shape your tree! This is the time for shaping and making space for spring growth. Don’t delay. Divide perennials like garlic chives, arrowroot and lemon grass if you haven’t already. Manage weeds – pull by hand after rain and mow to reduce vigour until you can get them under control. Solarise them under black plastic and destroy seed heads. Fertilise berries like strawberries, raspberries and blueberries with compost, rock minerals and seaweed to produce blooms and fruit. Maintain garden structures. Replace wooden or bamboo stakes if they are rotted. Make vertical trellises and frames. Feed your garden. Make compost, feed worm farms, add mulch, and make potting/seed raising mix. Protect frost-sensitive plants. Don’t cut off frost-damaged plant parts. Wait until the last frosts are over to provide protection for the rest of the plant. Treat with liquid seaweed. Provide wind protection – large leafy greens and fruiting crops can dry out quickly with harsh windy days. Consider covering these plants, keeping up soil moisture or providing a screen to reduce plant stress. Plan pest management strategies. 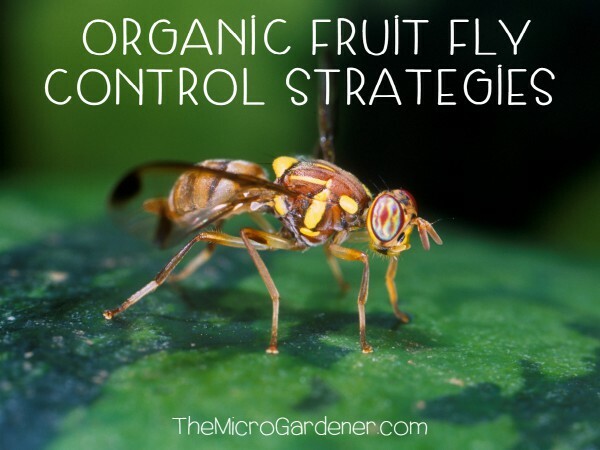 Get your fruit fly controls ready and other pest remedies for spring growth. This includes protecting stone fruit and citrus from fruit fly and other pest insects. Water deeply as required in your location. Pots need more moisture as the soil dries out faster. Follow these Water-wise tips. Try making your own moisture-holding potting mix to save money on watering. Adding the right extra ingredients to your bagged mix can help extend the life of your plants. Less ‘dried arrangements’! Sow seeds for cool-season crops directly into the garden. See my Seed Starting Guide for tips. Succession plant seedlings regularly for a continuous harvest. Stake and tie up climbing plants to maximize space and minimize pest and disease problems. Good air flow is important! Group container gardens in hot weather to create shade or cover with shade cloth. Top up mulch if it is an organic material and starting to break down. This helps feed your soil too. Recycle nutrients from dead annuals, prunings and grass clippings into your compost. Remove dead flowers (dead heading) to encourage more blooms and save seeds. This saves money too! Liquid feed flowering and fruiting plants. Maintain hygiene. Bag up and bin any diseased or pest-infected leaves and plant material. This breaks the cycle. Keep protecting fruit from birds with exclusion netting or individual bags. Manage weeds to reduce competition for nutrients and water. Use mulch, cover crops, ground covers and weed mat. Feed your soil organic slow release plant food and water in well. 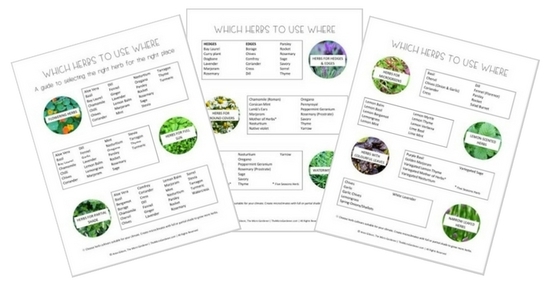 Harvest, dry and freeze herbs for use during the year. Preserve fruit and vegetables to extend your harvest. Maintain your garden. Repair/repaint any garden structures, trellises, sheds, fences and garden furniture while it’s warm and dry. Need help to create a healthy abundant kitchen garden? This is one of my client’s front yards. A tiny but hugely productive space, grown in just 12 weeks. I tailor time together to co-create a garden you love. Until 31 August, I have a special Spring into Spring discount offer for a limited time until remaining available dates are all booked. Pre-Visit Questionnaire – to help you clarify your needs and optimise time spent together. Plant Material for your garden – yes you get free seasonal seeds, cuttings or seedlings from my garden). Expert advice and/or hands-on help and an Action Plan Report for you to follow up and implement as you are ready. Garden Journal Planner & Workbook [Value $4.97] to record your garden notes year after year. BONUS Garden Health Check – Find out which plants need help and what to do to optimise health. This offer includes 50km round trip and is available for SE Queensland (Brisbane to Gympie) and Sunshine Coast residents only. Please enter this coupon code during the checkout process to apply your discount. LEARN MORE! To make it easier to grow a sustainable edible garden, I offer a series of helpful gardening guides and resources. Making a purchase is one way you can make a difference by helping support my education work to teach people how to grow healthy food. eBooks, Special Offers and Gift Vouchers in my Shop. If you’re looking for information on a specific topic, check out my free online library. I look forward to sharing more news and ways to grow good health soon. © Copyright Anne Gibson, The Micro Gardener 2018. https://themicrogardener.com. All rights reserved. Time for an update on what’s happening in my garden as I take you on a bit of a tour. In the past few weeks, I’ve enjoyed ‘winter.’ If you live in a genuinely cold climate, you’d probably laugh at what I call ‘winter’ here! In this subtropical SE Queensland climate, it’s mainly cold nights and moderately cool sunny days for a few weeks, with virtually no pests to worry about. However, it’s dry! I haven’t had rain for a few weeks now, and nothing forecast in the foreseeable future. With two-thirds of this state and 98% of NSW Australia, drought declared, we have to get used to gardening without regular rainfall. It’s tough so you need to have strategies to cope. I try to time my planting throughout the year, to work in with the weather I live with. That means getting the timing right with preparing, planting, fertilising, maintaining and harvesting. I mostly get that right, but when busy, I miss things too! That’s where lessoned are learned. Spring arrived here early mid July. Normally sometime in August but not this year! The unseasonal warm weather has been a catalyst for turning on the ‘Spring switch’ in many plants already. I carefully watch the signs in my garden and climate, so I am ready to plant the right edibles at the best time. 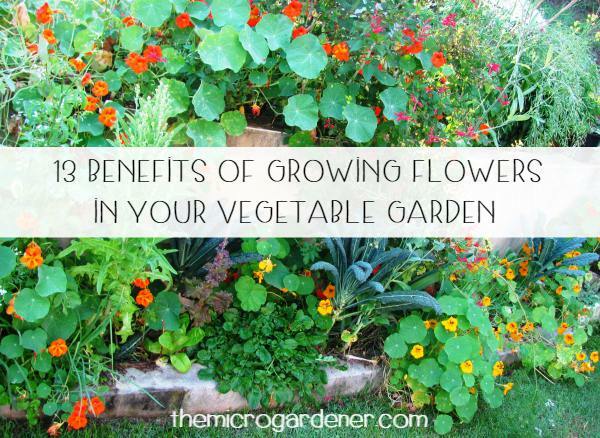 If you’re thinking you don’t need to bother with flowers in your vegetable garden, especially if you have a small space, you may be surprised with the many benefits they offer you. Flowers play multiple beneficial roles in EVERY garden, especially if you want an abundant harvest of fruit and vegetables. Did you know that with the right choices, you can increase your harvests, save money, reduce weeds and pests, get free fertiliser and plants, and much more? If not, dig in! Growing a food garden without flowers is an uphill battle. If you want fruit and vegetables, you need flowers too! My compact kitchen garden has some flowering plants year round because I’ve designed it that way. 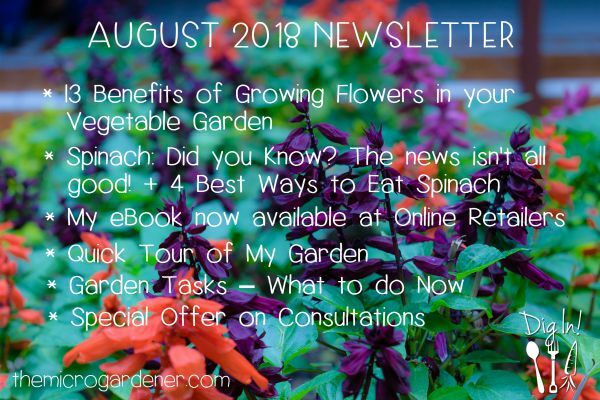 So I’m going to share 13 compelling reasons why I think you should grow at least a few flowers in your vegetable garden. Flowering companion plants are ‘friends’ with benefits! They offer neighbouring plants, or you as a gardener, some kind of useful ‘service.’ For example, tall flowering shrubs provide shade to sun-sensitive ground covers and strong smelling flowers may camouflage vulnerable crops nearby. I have a lot of projects on the go each year. From speaking at events, presenting workshops, coaching local clients to grow their gardens, to writing, donating time in my community, growing food for my family and my online education work. But this year, I finished a project I’m really proud of. It had been sitting there for a while as the ‘seed’ of an idea, but I needed a huge push to make it happen. The only way to do that is set a deadline. How do you make change in the world without setting a goal? Nothing like having a date to finish a book by to make you really focus! It’s hard work. It takes dedication and very long hours. Planning, nurturing, thought and time. It’s like carrying a baby for months and putting huge effort into it, until finally it’s time to deliver and birth it into the world! A real labour of love. So, I thought I’d take you behind the scenes a little, into my private world and why I wanted to write this new eBook and how it came about.